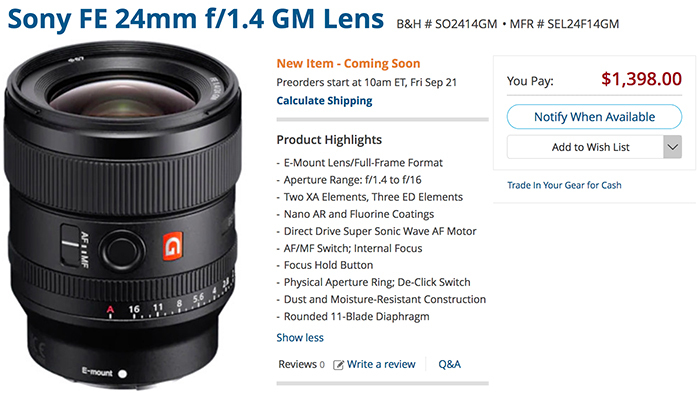 Sony 24mm f/1.4 GM lens officially announced. It’s the world lightest lens in its class! Sony 24mm GM at Bhphoto. Adorama. Amazon. Calumet Germany. WexUK. 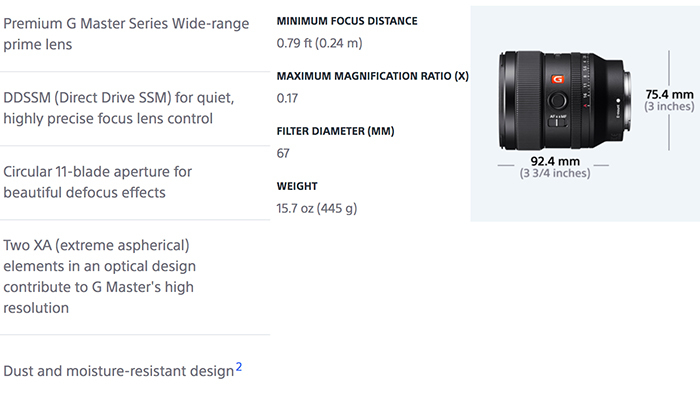 Sony lens product page. Press text at Dpreview. Field tets by Imaging Resource. First impressions by Albert Dros. First impressions by ThePhoBlographer. Prueba de campo de Photolari. Dpreview. Alphauniverse. Albert Dros. Photographyblog.